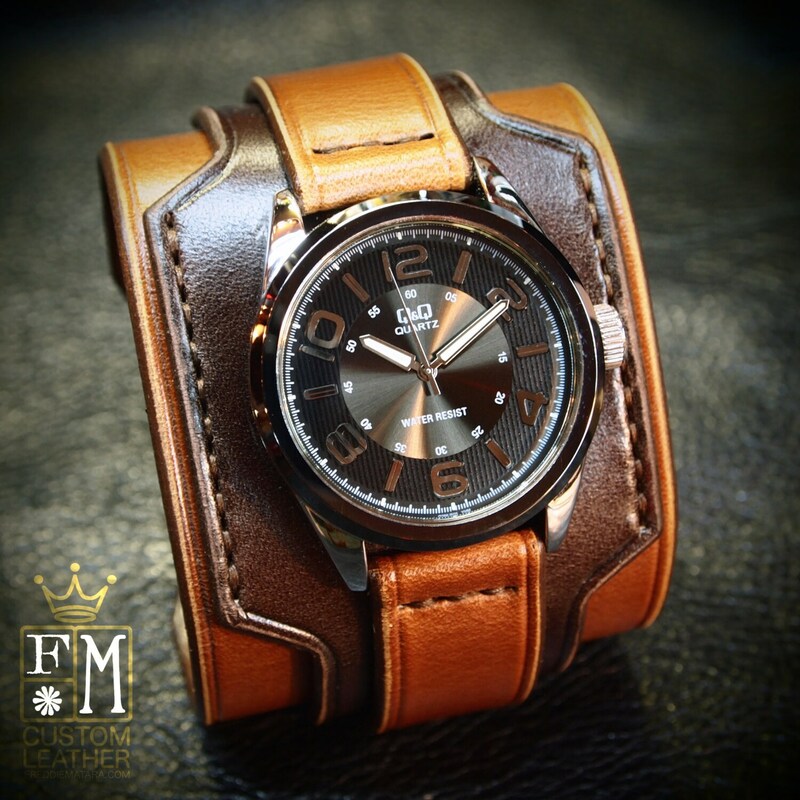 This Brown leather cuff watch is rich and stylish! limited edition Q&Q by Citizen water-resistant watch face in metallic black. 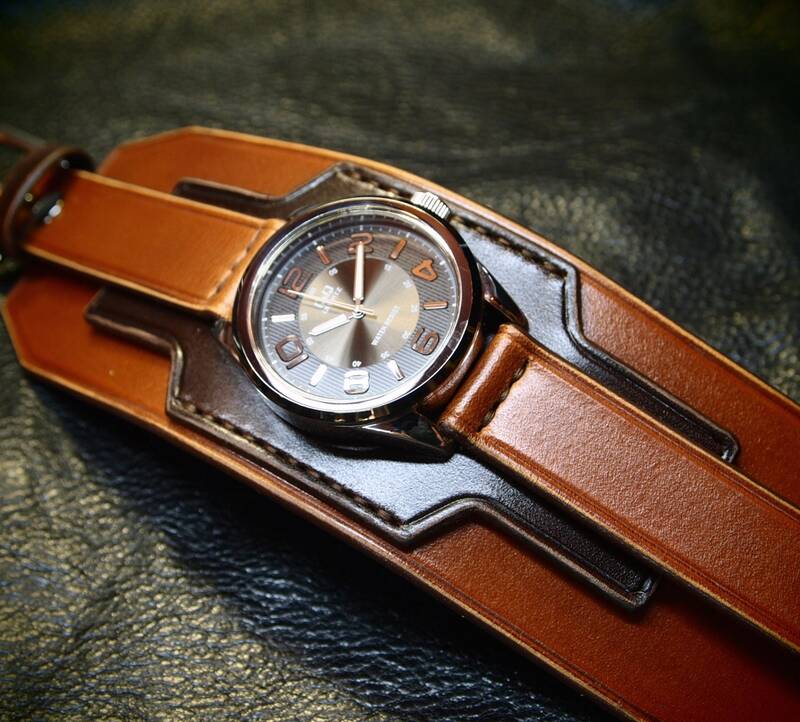 A stainless steel buckle provides closure. 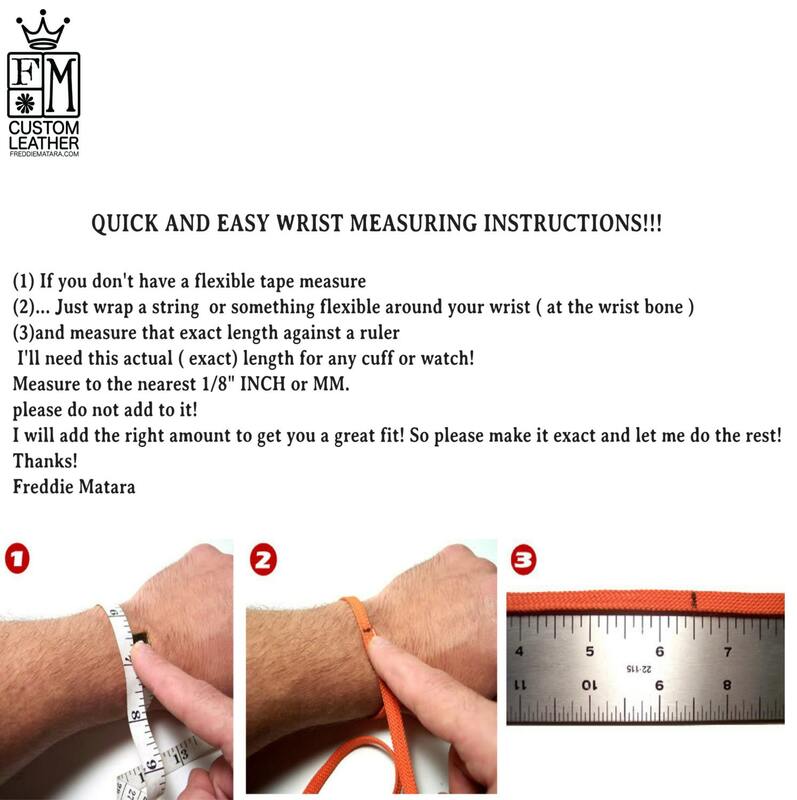 I need a wrist size for this watch. Instructions in the pics above. 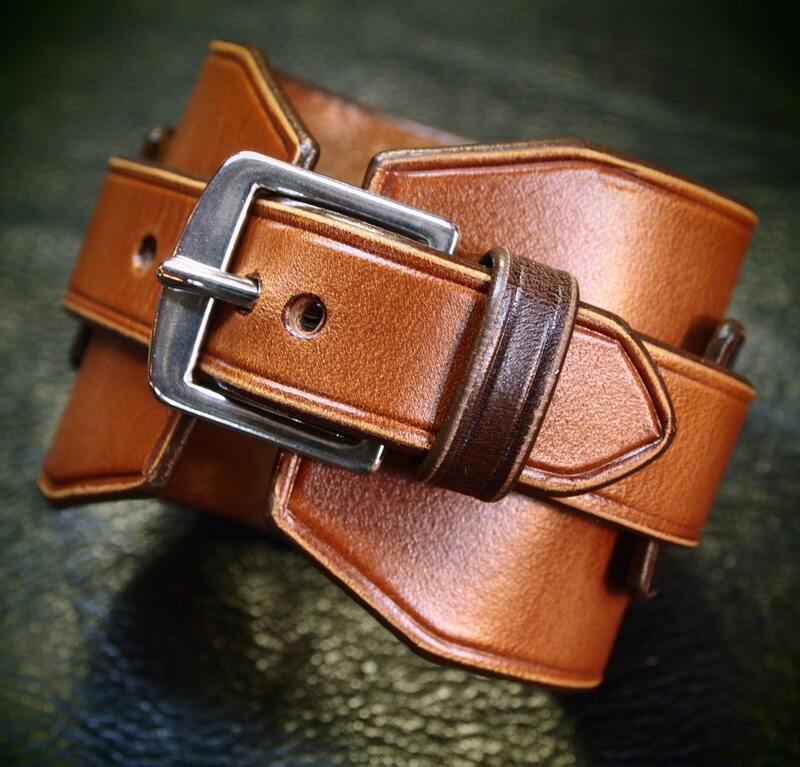 I use a fine hand in my work bridging the gap between craft and art and truly love making you fine leather gear!